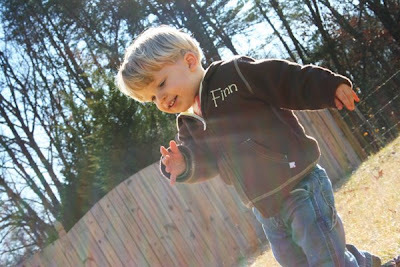 As Finn was getting over his fever, we had a sudden burst of spring-like, 60 degree weather this weekend. 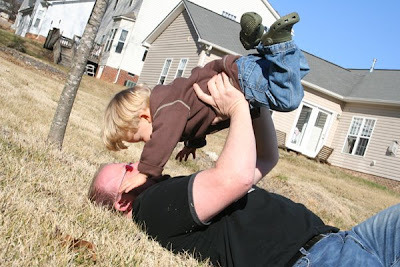 We embraced it fully spending much time outside, opening the windows and soaking up the sun. 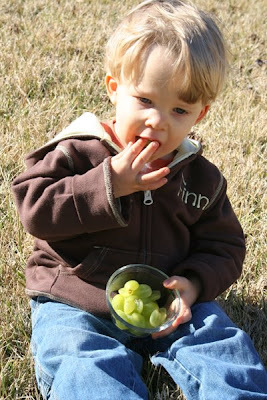 Finn even picnicked in the grass with his grapes. I know that this wonderful weather won't last until spring, but I'm grateful that we had a brief respite from winter's cold. Nice! 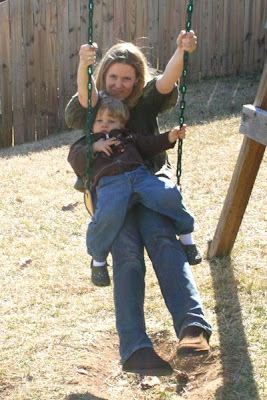 We had some warm weather here too, but with all the snow melt it has been mostly brown slushy gunky. Tomorrow will be in the 50s again before the cold snaps back.